Each Ltd. Ed. Björn Gelotte Les Paul Custom Outfit includes a Custom Hard Case with a “B.I.G” logo in gold, a Hand Signed Certificate of Authenticity, binder, and photograph. And of course like all Epiphones, the new Ltd. Ed. Björn Gelotte Les Paul Custom comes with world famous 24/7/365 Gibson Customer Service and Epiphone’s Limited Lifetime Warranty. Quantity is limited so visit your Authorized Epiphone Dealer today and check out the Ltd. Ed. 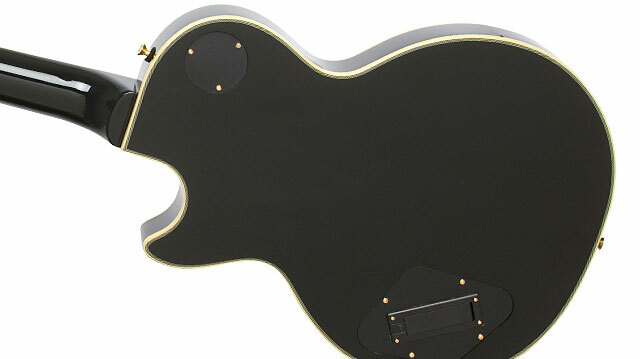 Björn Gelotte Les Paul Custom Outfit while they last! The Epiphone Ltd. Ed. Björn Gelotte Les Paul Custom Outfit features a classic Les Paul profile with a Mahogany body finished in a deep Ebony gloss and trimmed with 5-layer cream and black binding. Gelotte chose a Mahogany neck that’s rounded to a Custom ‘59 profile and topped with a beautiful Ebony fingerboard. Like all great Les Pauls, the neck is glued to the body with a deep set neck joint. 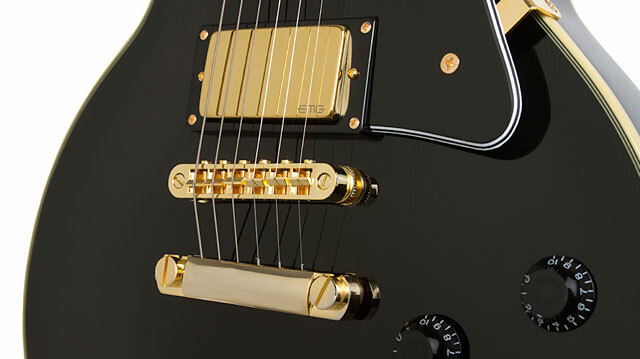 The Les Paul-standard style 24.75” scale neck has pearloid block inlays, a standard 1.68” nut, and an Epiphone Les Paul headstock with In Flames’ iconic “Jester” inlay on the front and a Ltd. Ed. logo in gold on the back. 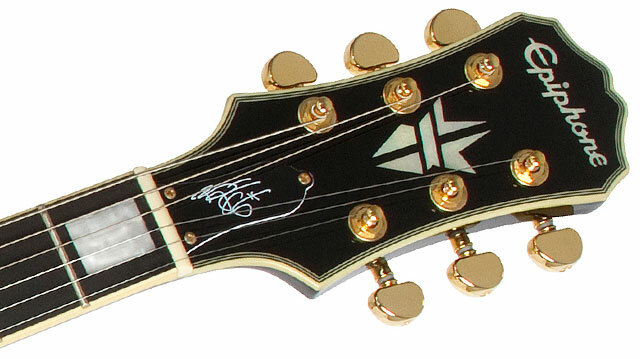 The iconic Les Paul style bell-shaped truss rod cover features Björn Gelotte signature in white. The Ltd. Ed. Björn Gelotte Les Paul Custom Outfit features Epiphone’s famous LockTone™ "Nashville-Style" Tune-o-matic bridge with a Stopbar tailpiece along with Grover® Roto-matic™ machine heads with an 18:1 tuning ratio for quick, intuitive and no-slip tuning.